I recently wanted to check out Graylog2 for gathering syslog messages because I have heard good things about it. Well the issue was that I was not able to find any good articles on how to accomplish this. I did find some installation scripts that looked promising, but they would not work correctly for whatever reason. So I took pieces of some scripts and other sources to compile what should be a completely accurate setup for now. I will be updating this post as time goes on. For the most part you can copy the text below and use it as a shell script. I created and tested this script using a fresh install of Ubuntu 12.04 x64. There is also a working Debian 6.0 install script that is available from github which is method 1 below. Method 1 is the preferred method as it will always be the most current. Using this setup will configure rsyslog to listen on udp/514 and reformat correctly and then pass on to Graylog2 listening on udp/10514. This works great for ESXi 5 and other Linux rsyslog clients. For Windows read the bottom of this post for Windows Event Logging. Let’s go. Choose one of the methods below. The following is for the Preview and rc.1 version ONLY (Use method above if you want to use the stable current version) - As of 02/02/2014 the above is outdated so use the method 1 below. If you are running v0.20.1+ on Ubuntu and used the auto install script method from above you can upgrade to the latest Graylog2 versions by doing the following. After this completes you should be up and running with the latest Graylog2 version. Graylog2 virtual appliance available running on Ubuntu 14.04LTS. Head over here and get your prebuilt virtual appliance. If you start getting scrolling java type errors after installing one or more critical services are not running. You can either reboot or try the following. If any of the above do not return as running and a PID then you will need to start the service not running by running the following. Logging into the new WebUI after installation. To uninstall do the following..
Now you can go back and start over if you would like to. The following will take care of the upgrade for you. Within the github repository there is also a script to automate a Debian 6.0 Graylog2 installation. If you are installing on Debian 6.0 run the following instead. You can download the script, upload and then extract it to your Ubuntu server from the link below. install_graylog2.tar.gz If you downloaded the file you will now need to run the following in the console. Change x.x.x.x to whatever your ip address is of the server you are installing on or let the script auto detect your IP for you. The default is auto detect. Save the file with ctrl^x. Now run the following to start running the script. You will be prompted for your sudo password once the script starts. Or you can use the following method from a terminal session on your Ubuntu server. **Change Servername and ServerAlias to the IP Address of your server in install_graylog2.sh using nano as below. Change x.x.x.x to whatever your ip address is of the server you are installing on or let the script auto detect your IP for you. The default is to auto detect. Or you can create your own install script as below. # echo "$(tput setaf 1)DO NOT RUN AS ROOT or use SUDO"
# echo "Now exiting...Hit Return"
# echo "$(tput setaf 3)Run script as normal non-root user and without sudo$(tput sgr0)"
IPADDY="$(ifconfig | grep -A 1 'eth0' | tail -1 | cut -d ':' -f 2 | cut -d ' ' -f 1)"
echo "Detected IP Address is $IPADDY"
echo "Disabling CD Sources and Updating Apt Packages and Installing Pre-Reqs"
echo "Installing Oracle Java 7"
echo "Downloading Elastic Search, Graylog2-Server and Graylog2-Web-Interface to /opt"
echo "Extracting Elasticsearch, Graylog2-Server and Graylog2-Web-Interface to /opt"
echo "Creating SymLinks for elasticsearch and graylog2-server"
echo "Creating /etc/init.d/graylog2-server startup script"
echo "Stopping graylog2-server ($PID) ..."
echo "Making graylog2-server startup on boot"
mongo admin --eval "db.addUser('admin', 'password123')"
mongo admin --eval "db.auth('admin', 'password123')"
mongo graylog2 --eval "db.addUser('grayloguser', 'password123')"
mongo graylog2 --eval "db.auth('grayloguser', 'password123')"
echo "Adding Apache Passenger modules to /etc/apache2/httpd.conf"
echo "Enabling Apache VirtualHost Settings"
# Now we need to modify some things to get rsyslog to forward to graylog. this is useful for ESXi syslog format to be correct. echo "Restarting All Services Required for Graylog2 to work"
echo "Browse to IP address of this Graylog2 Server Used for Installation"
echo "IP Address detected from system is $IPADDY"
echo "You Entered $SERVERNAME During Install"
echo "Browse to http://$SERVERNAME If Different"
Once the script completes connect to the ip/hostname of your Graylog2 server with your favorite browser and create your first login account. Or if you have installed on Ubuntu Desktop 12.04 you can just open firefox and type in http://localhost. You will then be prompted to create your first user. 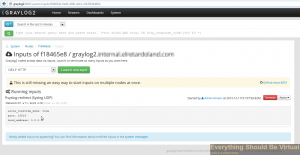 Once you have created a user account you can then login and you will have a great looking Graylog2 web ui like below. 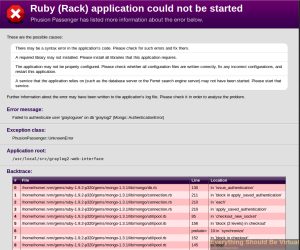 If you get a ruby error page like screenshot below when connecting to the web interface that says unable to authorize grayloguser in mongo graylog2 db do the following in code box below. 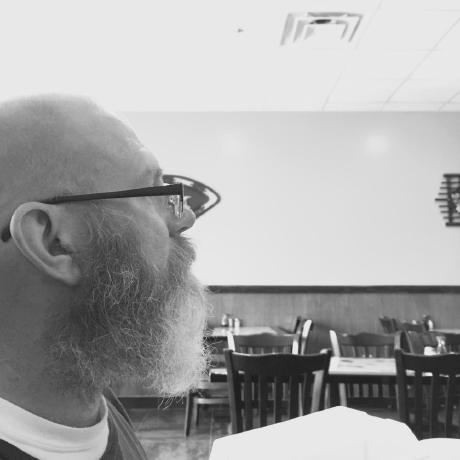 On a few occasions the script is failing to create the mongo db and users. I have only had this issue when doing an apt-get upgrade prior to running this script. For Windows logging to get sent to Graylog2 check out NXLog. It supports the GELF format as well. Below is an example nxlog.conf file for Windows to be sent to Graylog2 in Gelf format. Another thing that I have found is that the graylog2-server by default listens on IPv6 for UDP/TCP. 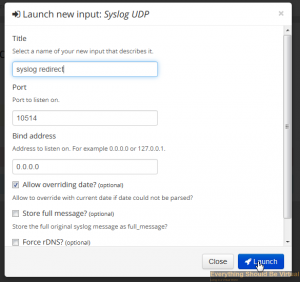 I was having issues with sending logs to the udp/10514 port directly. The following code added to /etc/init.d/graylog2-server will force it to run on IPv4 ports. Add the code above to the section under echo “Starting graylog2-server …” It should look like the below. 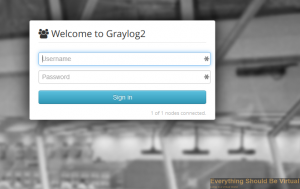 Restart graylog2-server service to take affect. Using Graylog2 (version 0.11.0) I am seeing high CPU usage all the time. Apparently this is a known thing and will be fixed in a future release by setting processor_wait_strategy = blocking. The default is currently processor_wait_strategy = sleeping. Run the following to make this change. To set the TTL (Time To Live) for Graylog2 messages within Elasticsearch to keep from filling up all of the disk space. Run the following. The first line builds the index and the second line sets the TTL to 30 days.\ To clear all of your messages and hosts from graylog2 do the following. I just had an issue with my graylog2 server and it was a java process taking about 90-100 percent CPU even after a reboot. It was caused by almost all of the disk space used where the mongodb grew too large for my system. Now you can add more space or just clear the db using the process above which is what I did. All good now.